Sunday's Grindhouse Podcast Airs: Dark Phoenix, Daredevil, CREED2 ; Haddish as Nubia? ; More Kennedy? 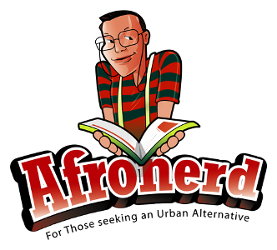 @6pm ET - Afronerd: The Blerd Revolution Has Begun! As we prep for next week's New York Comic Con, let's sneak in one of our vaunted Grindhouse podcasts, shall we? Listen to the latest installment of Afronerd Radio's Grindhouse shows airing every Sunday at 6pm ET. The topics to be decode are: we give our impressions of a few trailers (Dark Phoenix, Creed 2, Daredevil S3) that hit the nets earlier this week; a few geek media websites are reporting that comedienne/actor, Tiffany Haddish has put out in the universe that she would like to portray Wonder Woman's sister (in pre-52 canon) Nubia (let us gag unison); fan unfavorite film producer, Kathleen Kennedy has extended her Lucasfilm contract for 3 more years; noted VG company, Rockstar, bears the first time distinction of including Black cowboys in their Old West themed game sequel, Red Dead Redemption 2; Dburt checks out the UK children's animation series, Hilda, courtesy of Netflix; casting news for the WB/DC Birds of Prey film, purportedly with race bending Black Canary with actress, Jurnee Smollett-Bell (Underground, True Blood); Another untitled Deadpool film (or is it a PG version of #2) is slated for a December 21st release; racial missteps are being levied against author, J.K. Rowling and the producers of The Crimes Of Grindelwald for the Nagini character; is the music industry actually rethinking the term "urban" as a euphemism or "brand" for Black music? Lastly, our thoughts about what comes after the internet, technologically. Call LIVE at 646-915-9620.